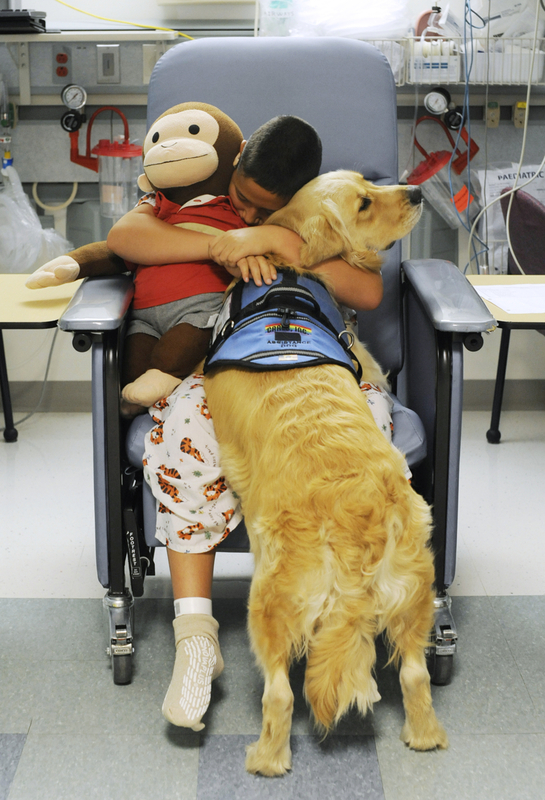 Nickolas Qvarnstrom hugs his two best friends, his monkey and his service dog, Keno, in the pre-op room before having his tonsils removed on Wednesday, August 10, 2011. The Qvarnstroms sought permission from the hospital to bring Keno along for his assistance in curbing Nickolas's anxiety. Nurse manager on the surgical day care unit Barbara Clancy believes this is the first service animal to accompany a child to pre-op at Cape Cod Hospital. This photo is part of a series, which is showcased in the "Picture Stories" section.